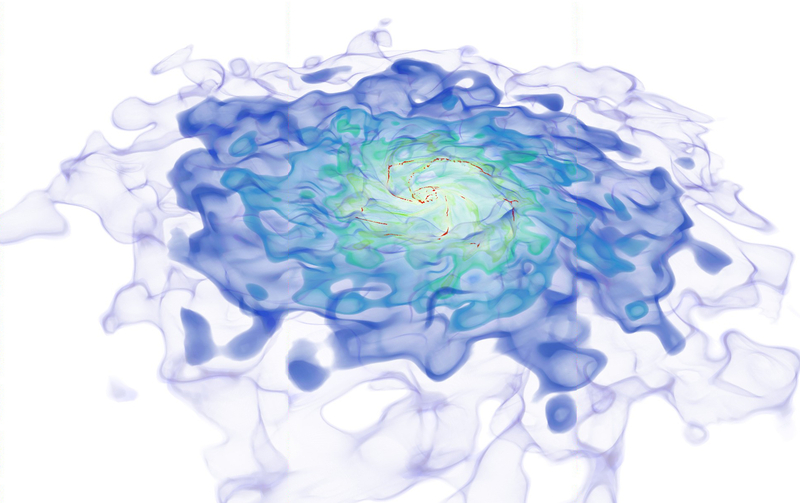 High-resolution galaxy formation simulations provide a unique opportunity to test our understandings of the interactions between galactic ingredients. At the same time, however, it is equally imperative to verify that astrophysical assumptions are accountable for any success in galaxy simulations, not artifacts of particular numerical implementations. 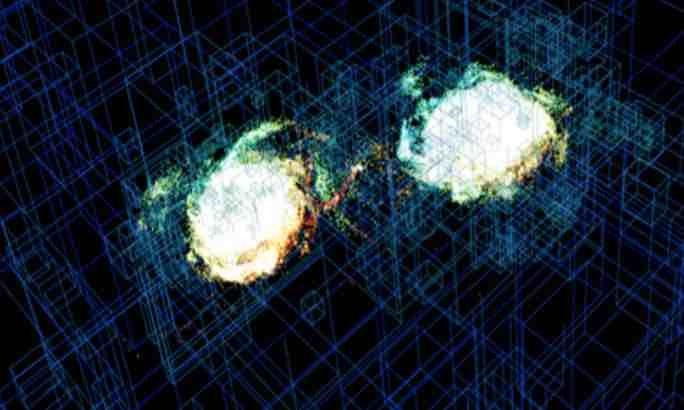 While numerical experiments have become one of the most powerful tools in formulating theories of galaxy formation, it is this requirement of reproducibility that precludes theorists from drawing a definitive conclusion based on a single simulation technique. 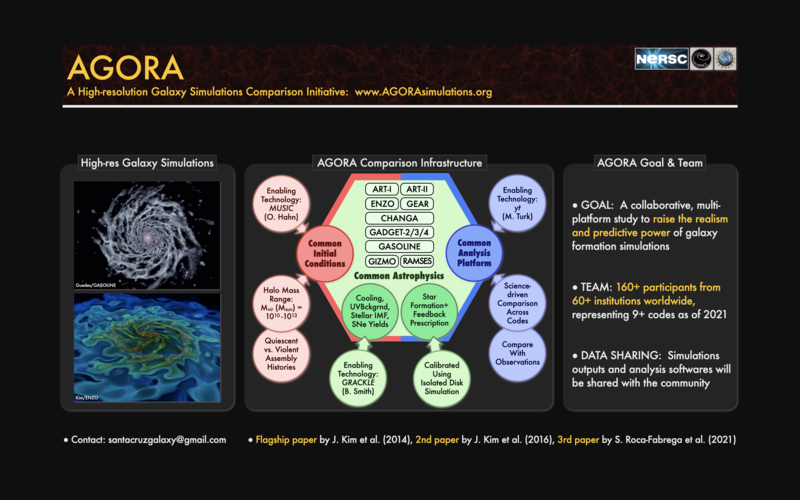 The numerical community’s collective response to such a challenge is the AGORA High-resolution Galaxy Simulations Comparison Project that promotes a multi-platform approach to outstanding problems in galaxy formation. I have spearheaded an inter-institutional effort (more than 150 participants from over 60 institutions worldwide as of 2017) along with J. Primack and P. Madau to establish the project infrastructures. They include common cosmological initial conditions (i.e., 4 halo masses and 2 assembly histories by MUSIC), common isolated initial conditions (e.g., generated by MakeDisk), common astrophysics models (e.g., cooling and UV background by GRACKLE), and common analysis platform (i.e., yt toolkit), all publicly available to the community. 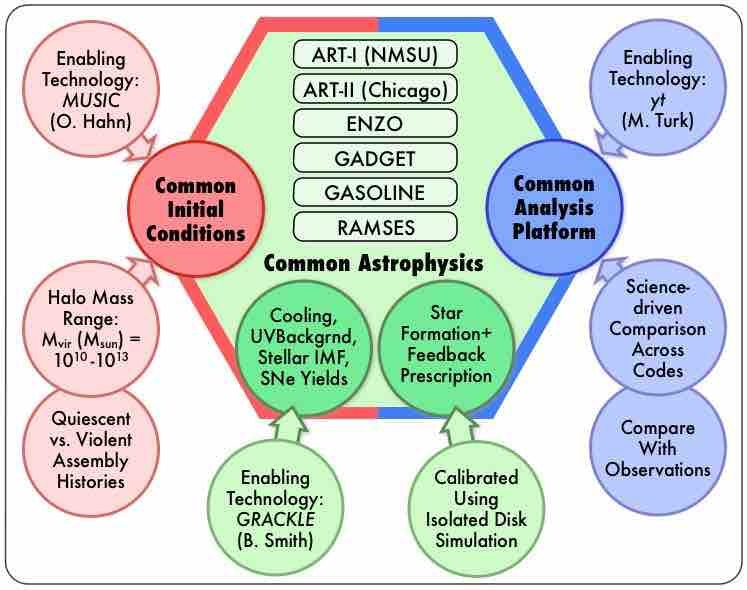 Using the components assembled, the ongoing collaborative efforts aim to raise the realism of numerical experiments collectively by comparing galaxy simulations across platforms, resulting in multiple publications in the next years. Using a state-of-the-art cosmological simulation of merging proto-galaxies at high redshift from the FIRE project, with explicit treatments of star formation and stellar feedback in the interstellar medium, I have investigated the formation of star clusters and examine one of the formation hypothesis of present-day metal-poor globular clusters. We found that frequent mergers in high-redshift proto-galaxies could provide a fertile environment to produce long-lasting bound star clusters. 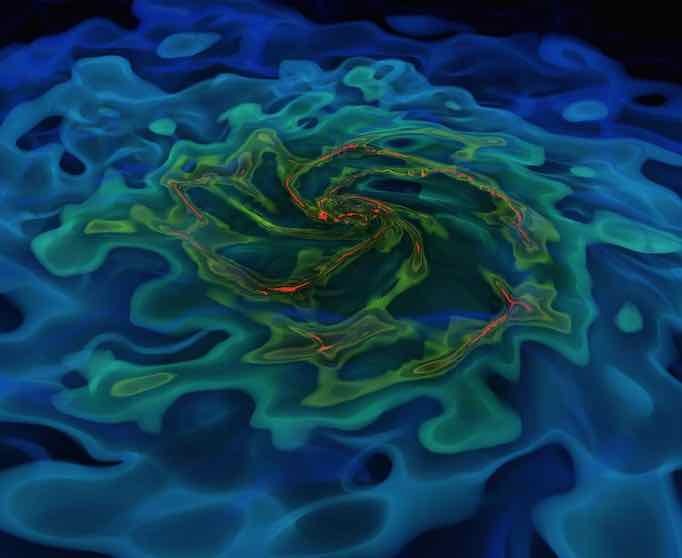 The violent merger event disturbs the gravitational potential and pushes a large gas mass of ~>1e5−6 Msun collectively to high density, at which point it rapidly turns into stars before stellar feedback can stop star formation. The high dynamic range of the FIRE simulation is critical in realizing such dense star-forming clouds with a small dynamical timescale less than 3 Myr, shorter than most stellar feedback timescales. The simulation then allows us to trace how clusters could become virialized and tightly-bound to survive for up to ~420 Myr till the end of the simulation. Because the cluster’s tightly-bound core was formed in one short burst, and the nearby older stars originally grouped with the cluster tend to be preferentially removed, at the end of the simulation the cluster has a small age spread. There is mounting evidence that galaxies and their embedded massive black holes (MBHs) coevolve in a hierarchical structure formation paradigm. I have studied the energy input by MBHs in galaxies, which is postulated as a driver of self-regulated galaxy growths. To follow the realistic impact of MBHs in galaxies, I have implemented a self-consistent description of gas accretion onto a MBH and two novel channels of its feedback: radiative feedback (X-ray photons followed through adaptive ray tracing) and mechanical feedback (bipolar outflows of ~1000 km/s). Using this improved treatments of MBH physics, I have studied the coevolution of a 9.2e11 Msun galactic halo and its embedded MBH at z ~ 3. I find that the MBH heats its surrounding ISM up to 1e6 K, and deprives the galactic inner core of star-forming gas. Locally-suppressed star formation then significantly changes the stellar distribution. Without having to unbind all of its surrounding gas, the MBH self-regulates its growth by keeping the surrounding ISM hot for an extended period of time. This new picture of MBH feedback is intriguing because it is only locally dominant, which may depict a subdued radio-mode of MBH feedback. MBHs play even more active roles when galaxies collide. Merging of galaxies not only leads to a larger system in a hierarchical structure formation, but also instigates widespread star formation and quasar activities. For this reason, I have also simulated two merging galactic halos with embedded MBHs that portrays an analogue of merger-induced quasar-mode feedback. Strong radiation from the growing MBHs suppresses star formation on the disks globally by > 40%, and efficiently slows down their own growths as well. Additionally, the MBHs drive powerful and frequent outflows creating sizable bubbles near the galactic center. I have developed a comprehensive description of stellar feedback in a galaxy simulation by combining the ultraviolet (UV) radiation from star clusters and the thermal energy of supernova explosions. 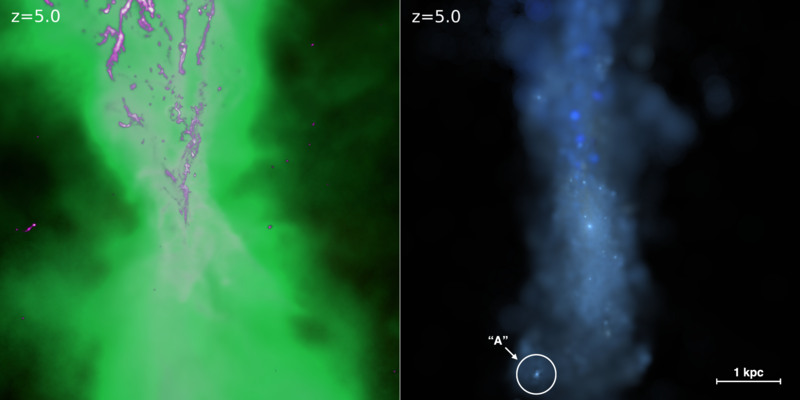 In this method, which we call star-forming molecular cloud (SFMC) particles, we use a ray-tracing technique to follow the ultraviolet photons emitted by thousands of distinct particles on the fly. I have applied the realistic description of stellar feedback to a dwarf-sized galactic halo of 2.3e11 Msun with high spatial resolution. By tracing UV photons from thousands of SFMC particles, this feedback scheme has enabled us to study the escape of ionizing photons from an individual SFMC particle and from a galaxy, and to examine the evolving environment of star-forming clouds. I have discovered that the overall UV escape fraction is dominated by a small number of SFMCs with high escape fractions. In addition, the escape fraction from a SFMC particle on average rises from 0.27% at its birth to 2.1% at the end of its lifetime, 6 Myrs. This is because SFMCs drift away from the dense clumps in which they were born, and because the gas around the them is dispersed by stellar feedback. Because we self-consistently locate the ionized gas, we can make mock observations of Hα emission, a star formation rate (SFR) tracer. With this, I have made a direct comparison between simulated and observed galaxies, and studied how stellar feedback manifests itself in the spatially-resolved star formation relation. I find that the correlation between SFR density (by mock Hα) and H2 density shows large scatter, especially at high resolutions of 75 pc that are comparable to the size of giant molecular clouds (GMCs). This is because an aperture of GMC size captures only particular stages of GMC evolution, and because Hα traces hot gas around star-forming regions, displaced from the H2 peaks themselves. In hierarchical structure formation, merging of galaxies is frequent and known to dramatically affect their properties. To comprehend these interactions high-resolution simulations are indispensable because of the nonlinear coupling between pc and Mpc scales. To this end, I have presented the first adaptive mesh refinement (AMR) simulation of two merging, low mass, initially gas-rich galaxies (1.8e10 Msun each), including star formation and feedback. With galaxies resolved by ~20 million total computational elements, I achieve unprecedented resolution of the multiphase interstellar medium, finding a widespread starburst in the merging galaxies via shock-induced star formation. The high dynamic range of AMR also allows us to follow the interplay between the galaxies and their embedding medium depicting how galactic outflows and a hot metal-rich halo form.